Mars One, a private Dutch organization that had claimed it would send humans on a one-way trip to Mars starting in 2024, releases a statement saying it has been declared bankrupt. 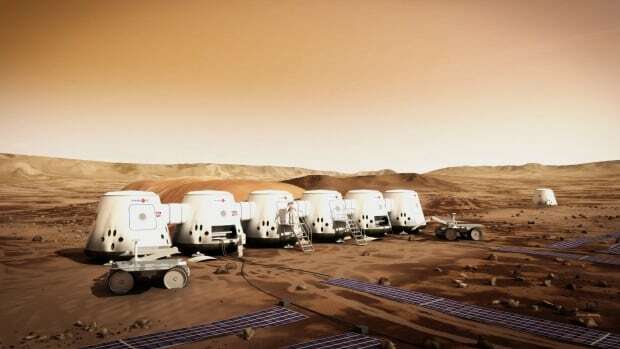 Mars One, a Dutch company that planned to send humans on a one-way trip to Mars and start the first human colony on the Red Planet, has been declared bankrupt. 2019-03-18 A man opens fire in a tram in the city of Utrecht, Netherlands, killing three people and injuring nine others, before fleeing. Terrorism is suspected by authorities. A 37-year-old Turkish man is arrested. 2019-02-13 The mission of NASA's "Opportunity" rover on Mars comes to an end. The rover stopped communicating in June 2018 after a Martian dust storm, and attempts to reestablish communications have not been successful. 2019-01-3 The Dutch Coast Guard says 270 containers fell off "MSC Zoe" in heavy seas near the German island of Borkum and floated towards the Netherlands. Treasure hunters revel on the West Frisian islands of Terschelling and Vlieland. Three containers containing hazardous materials are still missing and ships are warned for floating containers. 2018-11-26 The NASA robotic lander "InSight" lands safely on the Elysium Planitia plain of Mars to study the geology of the red planet. 2018-11-19 NASA selects Jezero crater on Mars as the landing site for the Mars 2020 rover. The crater was once a large lake and may hold evidence of ancient life.